There have been a whole lot of Total War games at this point. They’ve explored wide scale conflicts throughout the Medieval ages. The rise and fall of the Roman Empire. The colonization of America and even the smaller scale Shoguns. Shogun 2 Total War is probably still my favourite Total War game. In particular its “Fall of the Shogun” expansion which focuses on the end of the Shogunate. So it was pretty exciting when Creative Assembly said they were going to do a sub-series called “Total War Saga” that would focus in on important moments in history, rather than full eras. 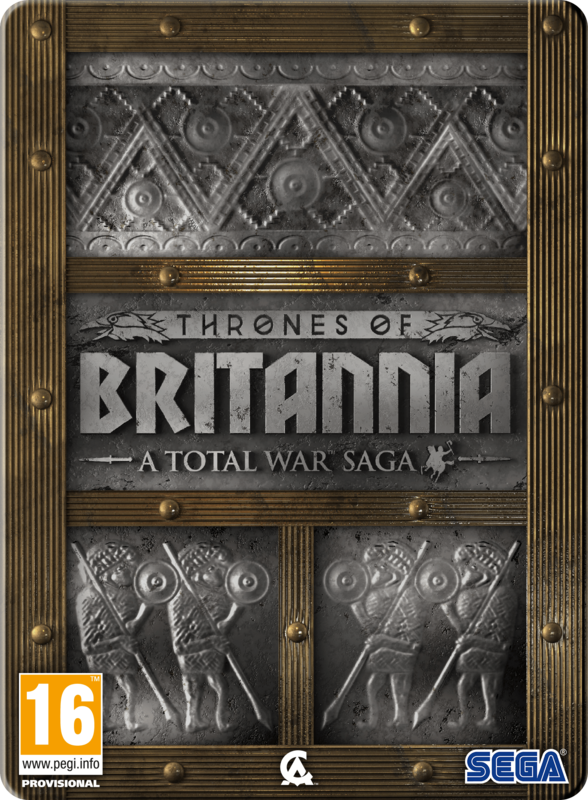 The first entry in that series is Total War Saga: Thrones of Britannia which aims to capture “the feel” of 878AD if not the exact historical intricacies. The crux of it all is, Gaelic factions are vying for control of Ireland and Scotland. Anglo-Saxons and the Great Viking Army are fighting for control of England, although King Alfred the Great kinda has things on lock at the start of the game. The Welsh are defending the encroaching Anglo-Saxons from the East. 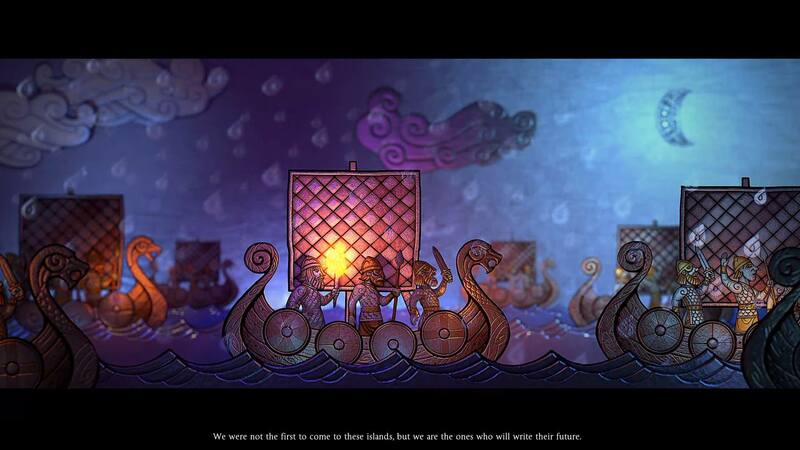 Meanwhile, Vikings show up and pillage wherever they want and whenever they want. Sometimes conquering land and becoming a bigger threat. The core of Thrones of Britannia is the Grand Campaign. 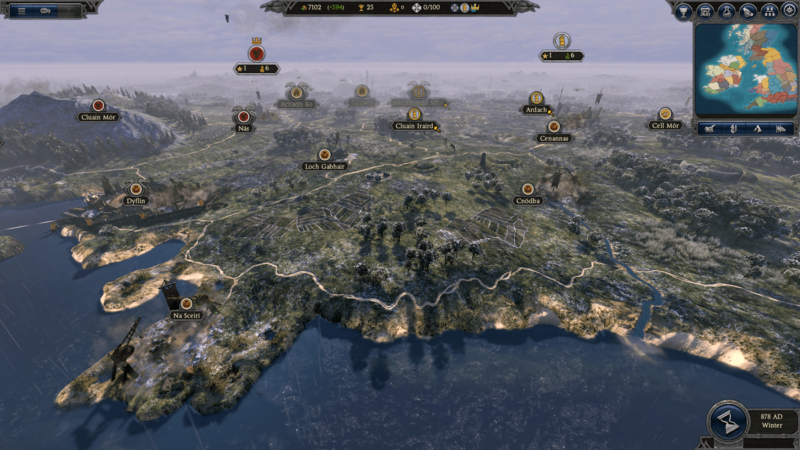 Like most of the Total War games this is a large campaign map broken up into a bunch of smaller territories. You can invade these and upgrade them to provide money/food/units/etc. The map this time is isolated solely to the British Isles. But it’s a BIG British isles. It takes a long time for your soldiers to walk from one place to another and as a result you’ll be expanding slowly into the areas you want or need to control and it’ll be difficult to pull armies back from the front lines to defend when needed. There are a few routes to victory but generally all of them involve invading a big chunk of land and claiming it as your own. It’s an interesting setting and one that is used very well in some cool mechanical ways. For example, you build an army by recruiting a leader for it and then levying troops into that leader’s army. In previous Total War games this was pretty straight forward you could pay for some troops straight away and then any others would need time to be levied. Usually a turn or two. They would arrive fully armed and ready to fight. In Thrones of Britannia, however, this has been changed to make defending against a Viking raid more interesting. Now, the units you can buy are limited by what is available. You need archers? That’s a shame, there’s none left in Aberdeen. You want the good Swordsmen? We only have one unit of those, sorry. This change is pretty great as it reduces the player’s ability to make one overpowering army to crush the AI with. But it also means that when Vikings show up, you’re scrambling to put together an army out of whoever you can find. The other big change to this is that units show up instantly now, but with a depleted number of troops and need to be replenished up to full. Again this is a fun change because while you can instantly put together an army to defend against a raid, it’s going to be composed of weaker units which aren’t even at full strength, making that defence tougher. Maybe you only do this to slow down the vikings until your main force returns home to defend? But maybe despite all odds they win? Or maybe you use them as more of a guerilla force, picking away at the Vikings occupying your land and then running back to safety to regain some troops. It’s a smart change that fits the setting incredibly well. Another use of the setting, but one which I never felt really worked as well as it could have, is that each faction has their own unique mechanic. This can be a path of objectives or a series of unique battles that result in a buff for that faction. For example, the Circenn seek the Stone of Destiny and receive hints about its location as a game progresses. The buffs it gives aren’t really all that rewarding though by the time you find it. And, as a result, it’s all a bit pointless. It’s a smart idea. But it just doesn’t really feel worth the effort compared to focussing on the traditional method of winning Total War. Building big armies and invading everything! 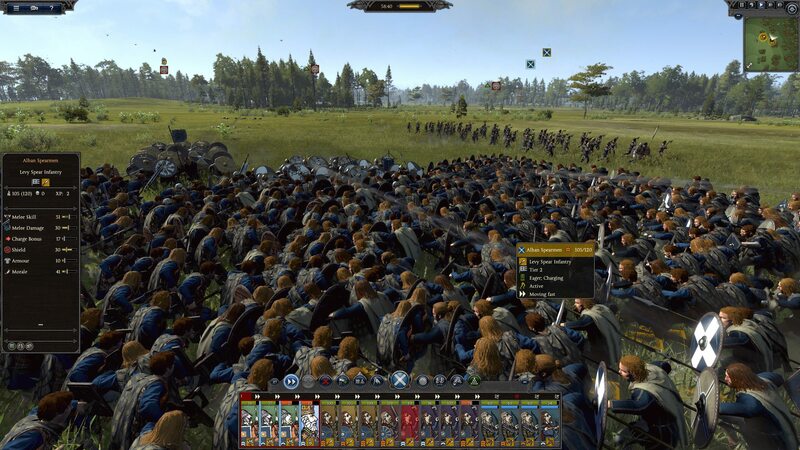 As with other entries in the Total War series the campaign is mostly a turn based 4X management. You build armies, build upgrades to cities and try to keep your territory afloat financially and in terms of happiness. 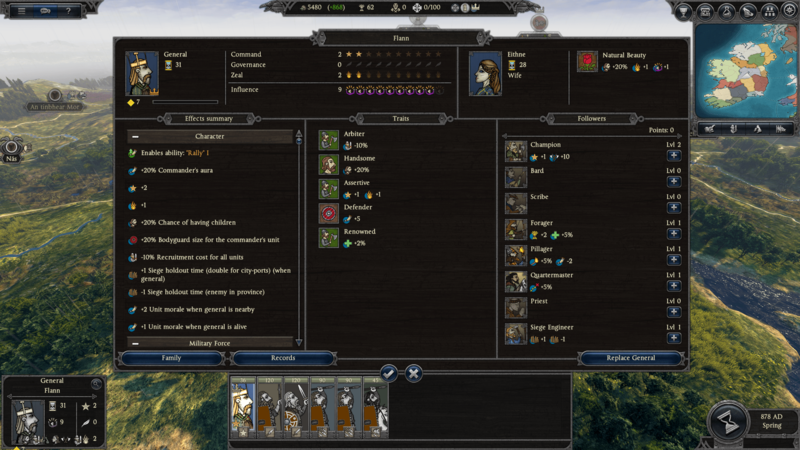 Whenever two armies collide, battles can either be automated or played in a real-time strategy mode. Neither of these elements have changed too much from previous games. 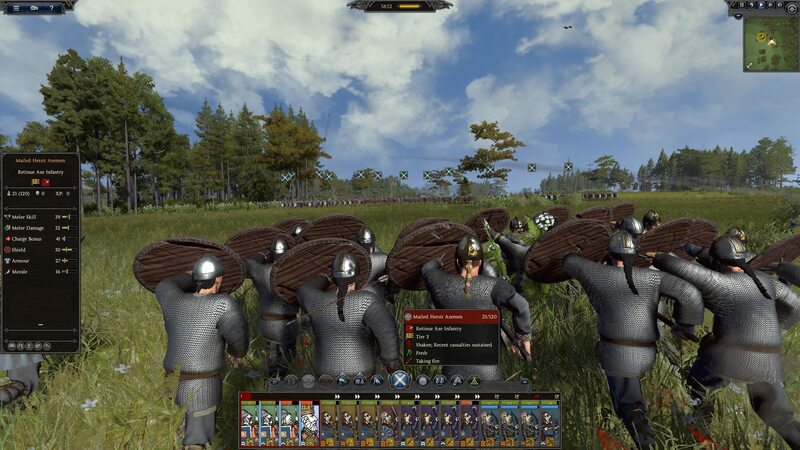 The core of Throne of Britannia appears to have been built on top of Total War: Attila from a few years ago. Which, if nothing else, is a good entry to build on. The real-time battles are, as always, a fun slog between two sides where the focus is on positioning units correctly and more about destroying the enemy’s morale than actually wiping out their forces. They play almost identically to how they played in Attila. But that’s not a bad thing as that game was one of the best in the series. Total War Saga: Thrones of Britannia is a weird example of a game that is both very good in its own right but hard to recommend in the context of the franchise. The Campaign is fantastic. But it’s also all the game has to offer, unless you’re into multiplayer. And the differences between it and other entries in the franchise are minor enough that picking up one of those other games for cheaper is a much easier recommendation to make.